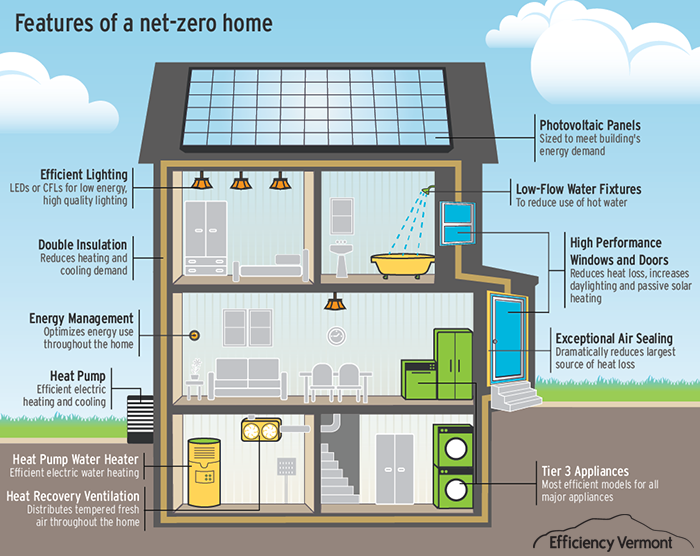 A net-zero building is a building with zero net energy consumption, meaning the total amount of energy used by the building on an annual basis is roughly equal to the amount of renewable energy created on the site. They are up to 80% more energy efficient than typical new homes and use renewable energy systems to produce the remaining energy they need. Every part of the house works together to provide consistent temperatures throughout, prevent drafts, and filter indoor air to reduce dust and allergens. The result: exceptional energy performance and the ultimate in comfort – a home at the forefront of sustainability. It all adds up to a better living experience.